Over the past year or so, Russian military aircraft have been flying off the coast of Alaska. Sometimes, the US Air Force scrambled fighter jets and escorted the planes safely away from US territory. Other times they simply monitored the flights via radar until they were well away from the Alaskan coastline. This has happened two or three times that I recall of. Yesterday, A Russian military Tu-154 flew over the Capitol and Pentagon at low altitude (3,700 feet) and provoked no more than a yawn from US defense officials. I wondered what the difference was, why some flyovers were challenged and some were not. It appears the answer lies in a joint program, Treaty of Open Skies, that I had no idea existed, and frankly, it sounds like a good thing, in my opinion. Anything to build trust and cooperation between the world’s superpowers I consider a good idea. Following is an account of the incident, as reported by The Moscow Times…. 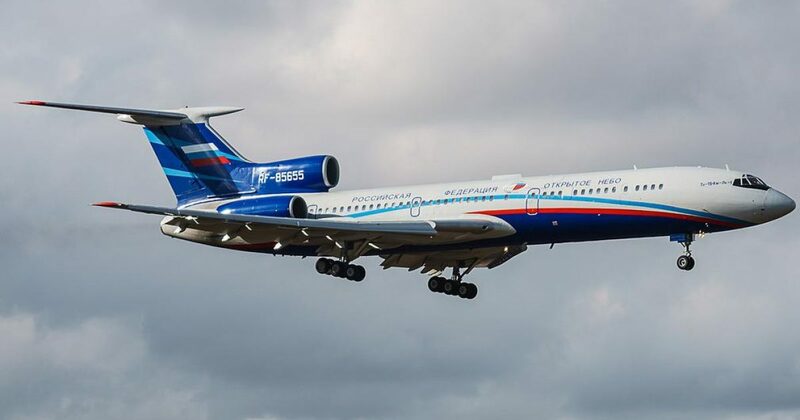 “A Russian military surveillance plane flew through secure airspace over Washington on Wednesday, passing near the U.S. Capitol, the Pentagon and other government buildings, CNN reports, citing two people familiar with the flight. According to CNN, “United States Air Force personnel were on the flight.” More cooperation, more trust, a better and safer world, in my opinion. What do you think, is Open Skies a good idea or is it foolish? Leave your comments in the comments section below.